"The freedom to configure the computers from anywhere!" 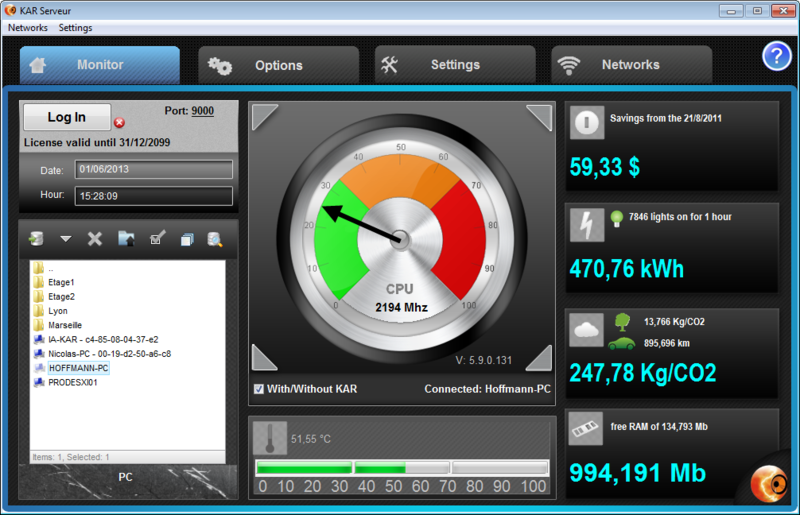 Set the energy strategies remotely with KAR Energy Software PREMIUM on all your PCs simply from the software KAR Server. 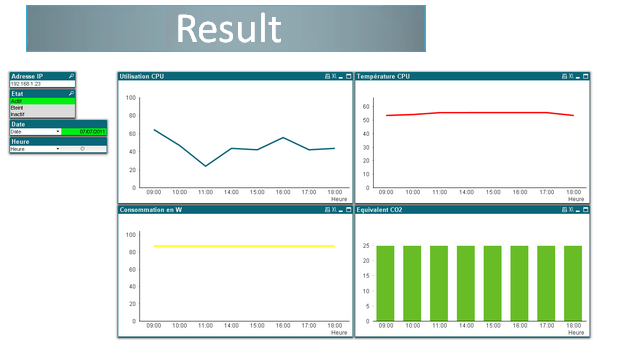 Set your energy strategies remotely. 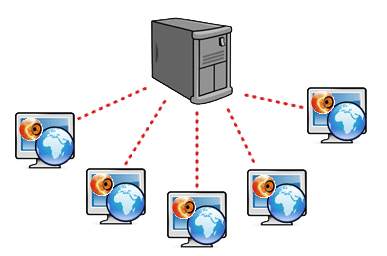 Connect to Microsoft Active Directory or LDAP. 1000 PCs configured in 1 click. IP group management and name set automatically. Login locally or via Internet. 1000 computers configured in a single click! 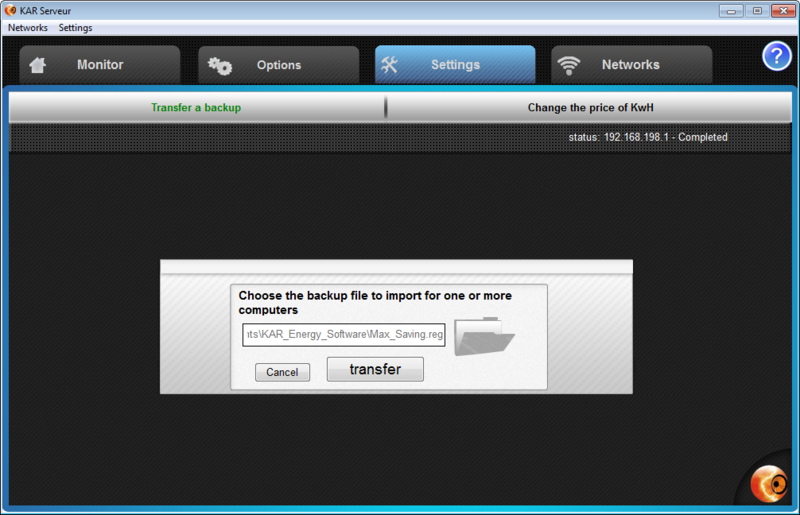 It also allows to transfer the backup files containing all the settings for each PC so that KAR Energy Software PREMIUM automatically loads upon receiving the files. The calendar is used to set the automatic sleep and the Wake Up! at a specific time. 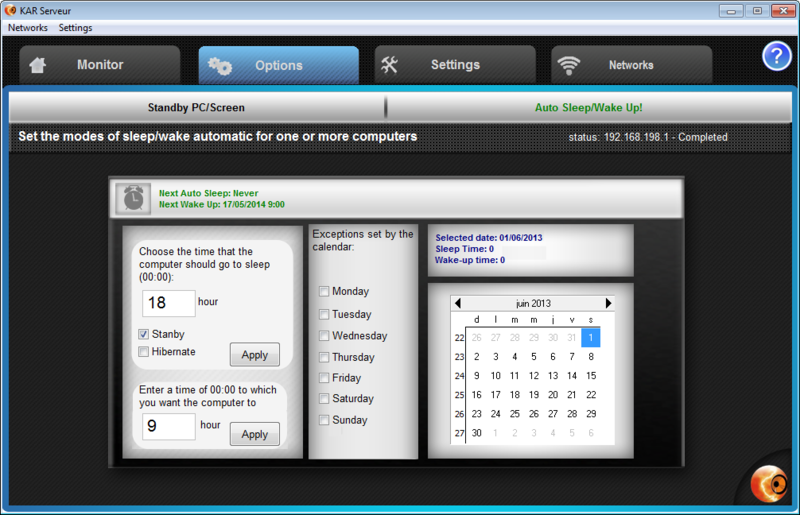 It also serves to indicate the exceptions (holidays) where the computer doesn't have to wake up. 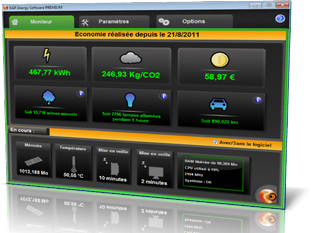 A real-time display and a precise comparison between two points.